You know how carefully you organize everything in your backpack before you embark on a trip? Your shoes (stuffed with socks and undies to save space, duh) are all together in the bottom. Your clothes are carefully rolled up. Your soap is totally separate from your AA batteries. And then by Day 2 of your trip, it's all gone to hell and it's a mess in there. You're scraping soap off of battery terminals, wondering how on earth your batteries even got in your toiletry bag, and you can't find a single pair of socks to save your life. Enter the Hoboroll. This thing is so deceptively brilliant in design that I resisted buying it for a while. But now that I've given in, it's become one of my favorite pieces of travel gear. The Hoboroll looks like a giant Trivial Pursuit playing piece. 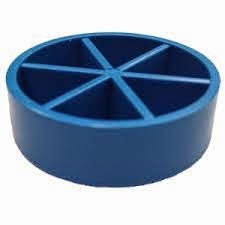 It's a simple cylindrical piece of fabric with 5 pie piece-shaped compartments that travel its entire length. 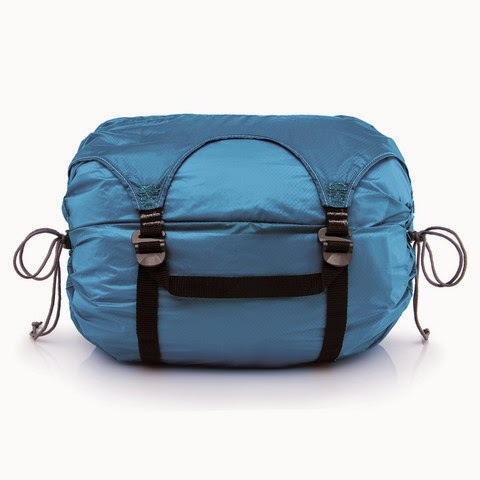 It has a drawstring closure and compression straps along the outside that also function as a handle. That's is. Trivial Pursuit playing piece. Imagine this longer and in fabric form. 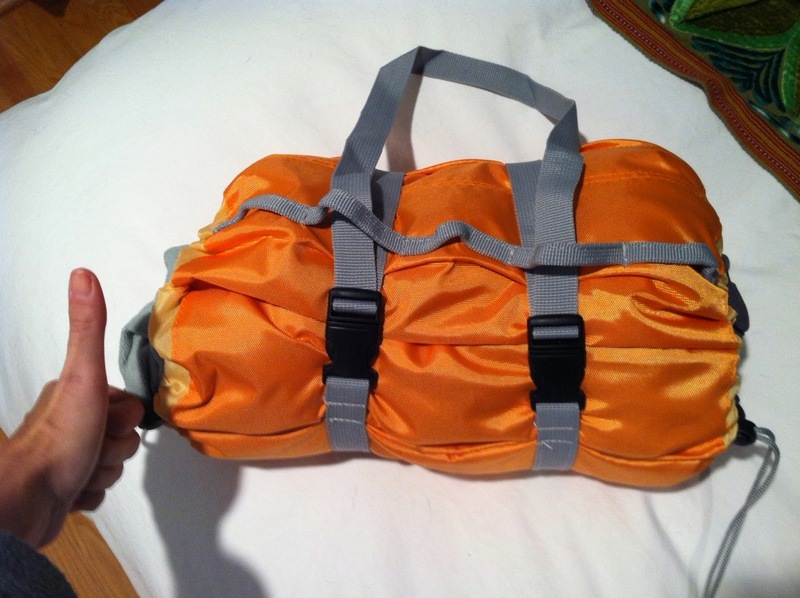 Stuff your clothes and crap into each compartment, pull the drawstrings, and tighten the straps. Your junk isn't going anywhere, and you'll know exactly where to find it. I wasn't sure the extra bulk of the Hoboroll was going to be worth the organization, but I was totally wrong about that. The fabric is very thin, so it really doesn't add any extra bulk. And knowing where to find my underwear without fishing through the entirety of my backpack is absolutely worth it. I've taken this thing camping. I took it to Croatia. I'm sold. Now, I've noticed that the Hoboroll has undergone a redesign since I purchased mine. The new one looks even better, and I can't lie and say I don't want the latest version (my birthday is in August in case anyone was wondering...). The latest version has made some appealing improvements: they've added a draft collar, the compression straps appear to be more user-friendly, it now comes with a storage bag, and they now offer an optional cushioned shoulder strap. It also appears to be made out of even lighter, thinner material. Dammit, I really want a new one. I'm going to resist buying the latest version. But you better believe I'm using this thing when I go to China next month (ohmygod that's next month). And if you want one for yourself, get it here. *Note: I was not paid to write this review, and I did not receive a free Hoboroll in exchange for a review. I bought it on my own because I thought it was cool, and I have written this review because I thought you might like it as much as I do. So yeah, this is an honest opinion.